The Russian poet Osip Mandelstam (1881-1938) was the brightest in a room full of brilliant flares, one of an extraordinary generation of poets that included Anna Akhmatova, Boris Pasternak, Aleksandr Blok, Vladimir Mayakovsky, and Marina Tsvetayeva, who made up what is called the Silver Age of Russian poetry. No writer more than Mandelstam bore the brunt of the political experiment launched by his country in the second decade of the twentieth century. It could be said that he loved and lived for his native Russia, and died at the hands of the Soviet Union. So unique and so much my own? Who is it, tell me, that I must thank? In the dungeon of the world I am not alone. The lovely pattern must not be wiped away. "For the quiet joy of breathing and living,/Who is it, tell me, that I must thank?" - what beautiful lines are those. Note especially how the pause in the second line "fills out" the line - the words "tell me" are not strictly necessary, but the pause makes the line sound somehow reverential and prayerful. Just looking at these lines one can see how, as the writer and translator Christopher Logue says in an interview, "a poem’s text is a sort of [musical]score as well as a text". The work of the young Mandelstam celebrates the music of life and of poetry. "And if a song's properly sung/With a full heart, then at last/All disappears; there remain/Just the singer, space and the stars!" The great and unavoidable event of Mandelstam's life, as of the lives of everybody of his generation, was the Bolshevik Revolution of 1917 that sought, and managed to bring about by force, a complete break with all the ways of the old tsarist Russia. Mandelstam, like many other Russian poets and intellectuals, felt ambivalently towards the Revolution; it both attracted and terrifed him. In one of his poems, "The Age", he compares the age to a wild animal with a broken back, looking at its own footprints. Although he realised swiftly enough that there was something warped about the Communist dream, the confidence radiated by many of his peers threw Mandelstam into corrosive self-doubt (indeed, it was to be decades before the truth about the worst excesses of the Communist regime in Russia emerged). As his wife Nadezhda Mandelstam, whose book Hope Against Hope is one of the greatest works of Russian dissident literature, remarked, "It is not so simple to go against everybody and against the times. The power of the 'general will' is enormous - to resist it is much harder than people think - and we are all marked by the times we live in." At the time the mere suspicion of dissent brought in its wake harassment by the Cheka, the Soviet secret police. Mandelstam soon found visitors from the government landing up at his home to ask him questions and explain to him the meaning of this or that line from his work. Mandelstam gave up writing poetry for several years. When he began writing again in the nineteen-thirties, the truth had become clear to him, though not to millions of his countrymen. His voice was now, in the words of his wife, "the voice of an outsider who knew he was alone and prized his isolation". They'll speak of the Kremlin mountain man. And his words certain as pound weights. And the top of his boots glisten. He plays through services of half-people. He alone merely caterwauls and prods. some in the groin, and some in the eye. And his Georgian chest is broad. Each detail of this poem is carefully selected to give a sense of looming menace. People speak in whispers; the only time they can raise their voice is when they speak well of the "Kremlin mountain man". Images of metal, hard and unfeeling, predominate in the description of Stalin - his words like pound weights, his decrees his horsehoes. He exudes danger from every angle and every pore, and both the people with him and those oppressed by him have been reduced to "half-people", who live not feeling. 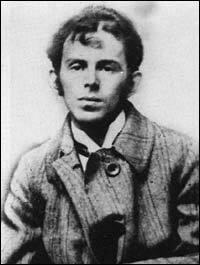 And the "sweet voice" of the young Mandelstam - it has itself become harsh and metallic in these new circumstances. Mandelstam was arrested soon after, and sent to prison, where he lost his mental balance and tried to commit suicide; eventually he died in prison in 1938. His wife zealously preserved his manuscripts, often in ingenious hiding places, through the long years of Soviet censorship, and they began to appear in the sixties and seventies under the more liberal regimes of those years. More poems by Mandelstam can be found here and here. Adam Kirsch has an excellent essay on Mandelstam here. Mandelstam can be heard reading some of his poems here at the large archive of Russian poetry www.russianpoetry.net. An extract from Nadezhda Mandelstam's Hope Against Hope, "The Date of Death", can be found here. And here are some links to aspects of the Russian experiment with Communism, perhaps the worst set of political ideas ever to have been given credence by intelligent men and women across wide swathes of space and time. Frances Stonor Saunders's beautiful essay "The Lost Tribe of Russia" - one of the sharpest book reviews I've ever read - deals with Lesley Chamberlain's recent book The Philosophy Steamer, about a group of Russian intellectuals sent into exile by Lenin in 1922 and sundered from their homeland for good. In February there were a host of essays published in the world press to mark the fiftieth anniversary of Khrushchev's famed secret speech to the Twentieth Congress in 1956, of which here is one of the best, "Khrushchev’s secret speech and the end of Communism", written by the Soviet dissident Roy Medvedev. And finally, an old post about the Turkish poet Nazim Hikmet, who also spent a great deal of time in prison, and whose work also devotes itself to understanding what it is to "live with feeling". Superb poetry, certainly. But I would've liked to see more of your writing on it. "For the quiet joy of breathing and living,/Who is it, tell me, that I must thank?" - what beautiful lines are those. This is precisely what I felt when I read those lines. Indeed, it is such writing, which youthfully celebrates the positive qualities of life, that instills a sense of hope. But the usual irony remains: the poet himself is rendered hopeless and disillusioned! The most erudite blog, certainly in India! BTW, have you read anything of Mayakovsky? Would welcome a post on him as well. Many in Bengal equate him with another "young-dead" poet, Sukanta. 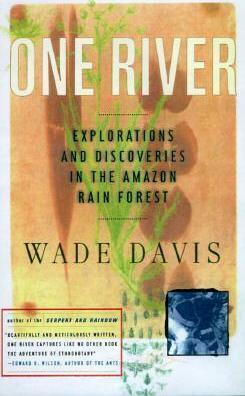 Not that I have read either too much. Maybe you can us give some more information on the two. Anirudh - I'd have liked to have commented a bit more, but because there were so many things to say the post would've become too long. But look again, and you'll see I've said one or two more things about the lines I singled out in "A Body Was Given To Me". Thanks for your perceptive criticism. Sanket - what you say is true, but in my opinion the sentiment does not somehow become less important because the poet was disillusioned later. In fact, perhaps that "quiet joy of breathing and living" was a consolation to him in harder times, though it may have also sometimes seemed like a chimera, an illusion, which is what you are perhaps trying to suggest. Shan - yes, I've read a bit of Mayakovsky. I've never read or heard of Sukanta, though. I'm not Bengali (which, judging by the few unpleasant if misguided comments I get, appears to be a widespread term of abuse among blog readers in our country), and I don't know if he's available in a good English translation. We'll just let some Bengali so-and-so write about him. Adam Kirsch's essay uses another translation of the poem 'we live, not feeling' you have quoted in your post. The one you have used is a serious examination of an age and (observation of) one particular man it produced, unlike Kirsch's which, without the necessary background, is a smart, light ridicule that can also disguise as an 'eccentric character' sketch. the generality of 'ground' as against the specific purpose of 'country' kicks off the major difference in the two translations . when i found the drescription 'Kremlin mountaineer' in lieu of 'Kremlin mountain man', it stunned me. A 'mountaineer' at the best is an adventurous visitor who is mostly harmless but can be evicted easily if proved otherwise. But a 'mountain man' is a different ballgame altogether. He lives, breathes the frontier and is dangerously proud of it. he can also own it. And there lies the greater danger. It is sad that Madelstam suffered, but such suffering cannot be measured. However there is a sentiment which carries real sympathy: it is sad that his poetry suffered. Reading your piece carefully, your attitude to the "sweet voice" remains ambivalent. I take it that the persistent use of quotes expresses a degree of skepticism. In my opinion, the sweet voice rarely cloys - "The Swallow" is a sublime poem, even in translation. What is tragic about Mandelstam is not merely the fact of the transition from sweet voice to harsh words, but rather that this transition was forced upon him. His voice could not accommodate itself to harsh words. The poem about Stalin is just not a very good poem. Mainly it expresses disgust, contempt and fear; surely, poetry should aim for something higher? There are those who mined art from their defiance to the tyranny of History - Milosz, Celan, Holub. Not Mandelstam. Bem - that's a very good comparision of the two translations, and of how one evokes menace but the other only eccentricity. The translation by Albert C. Todd I used does seem the better one - you might say one version appears more Russian and angry, and the other more Soviet and placid. Cheshire Cat - there are some very good thoughts there. Two things. No, I actually don't feel ambivalent about Mandelstam's "sweet voice" - the quote marks merely signify that it is his own term. Like I said in my response to Sanket, we need not ironise the sweetness of his early verse with the darkness that was to follow. "I feel a fear that I cannot defy/In presence of the secretive above./Like swallow I am happy in the sky/And loftiness of towers I love." (From "Overpass") What a voice. Two, you say the poem about Stalin is "just not a very good poem". You're absolutely right there - it is certainly a significant poem, but hardly as subtle or complex as some of his other work. In fact there is a long discussion of the merits of this poem in *Hope Against Hope*. Nadezha Mandelstam writes that many of Mandelstam's more accomplished peers did not like the poem because of its "straightforward, uncomplicated quality". She explains that Mandelstam was "concerned to make his Stalin poem comprehensible and accessible to everybody....I believe he did not want to die before stating in unambiguous terms what he thought about the things going on around us". So I think we must accept that the poem has a rather unusual place in Mandelstam's oeuvre, and must be understood in relation with circumstances outside the world of the poem. But your assertion is quite correct - there are many better Mandelstam poems.